A host of interested parties will be listening hard when the Government announces its decision to bid for the 2012 Olympic Games later this month. Not least the design community, where a positive outcome could lead to countless opportunities for groups. The Olympics is just one of many global sporting events – now massive brands in their own right – with the potential to provide a plethora of design work. These days such jamborees are branching out to encompass sub-brands, merchandise, sponsorships, mascots, publishing and on-line work. Indeed, opening and closing ceremonies have become massive events in their own right, witnessed by the appointment of Jack Morton Worldwide (Europe) to produce the pageants for Athens in 2004 (DW 9 January). Even before any tournament gets underway, the host country (not to mention the unsuccessful candidates) will have commissioned identities and designs for its bid, together with bid documents and presentations. 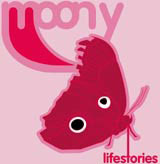 From there a brand identity will be commissioned. This gives rise to official mascots, merchandise, memorabilia, posters and marketing material, which may or may not be handled by the same group. Individual teams, particularly in football, will also have their own requirements, ranging from squad booklets to designer kits and luggage. Stadiums are decked out to incorporate the identity, plus the flags of the competing nations and the interests of sponsors. Signage at such a massive international event is a huge consideration, and even such relatively minor ingredients as victory podiums can involve design commissions. The sponsors themselves increasingly commission ‘brand experience’ visitor centres at venues, in an effort to increase their profile and heighten their association with the event. 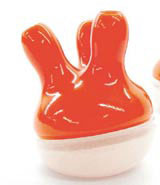 Equally, branded products are often themed around the event, necessitating additional packaging work. Then there’s the television coverage. Idents, title sequences, on-screen graphics and trailers all increasingly cross over into associated media. XTV has carved out a niche for itself as a sports branding specialist, and it’s no coincidence that the move has also seen the group reinvent itself as a cross-media consultancy. Richard Markell, XTV executive producer, says, ‘Most [sports] clients now expect their brands to be taken off-screen into other media.’ Consequently, XTV’s work for UEFA’s Champions League has seen the group’s pan-European, on-screen identities reproduced across Europe in the form of match tickets, car park passes, stadium identities, advertising hoardings and stadium signage. Markell believes sports events are increasingly global in their reach. Consequently, UK consultancies shouldn’t consider a London Olympics as their only way into sports branding. 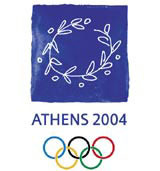 Wolff Olins was appointed to design the marque for the 2004 Athens games after a lengthy bidding process. The nature of this type of work often necessitates collaborations. Wolff Olins produced a design in conjunction with Greek group Red Design, in a process which Wolff Olins senior consultant Claudius KÃ¶nig describes as ‘the only way to treat the issue’. ‘Our partner was a key ingredient to the win,’ he explains. From there, the design changed ‘hardly at all’, with the sole exception of a single addition to the colour palette for the logo’s implementation across the vast array of marketing and on-site applications. Jack Morton will enter into a similar partnership when designing the event’s opening and closing ceremonies. It will work with the Greek organising committee, ATHOC, headed by artistic director Dimitris Papaioannu, himself a member of the judging panel at the pitching process. While ATHOC will have creative responsibility, Jack Morton will act primarily as producer. Contrary to Wolff Olins’ experience, Interbrand’s work on the identity for the 2002 World Cup involved a series of rethinks and consultations. So convinced, though, of the sector’s potential was Equi’s former Interbrand colleague Chris Lightfoot, that he set up his own specialist sports branding group, Whitestone. His faith was rewarded with the commission to produce the identity for the 2006 World Cup in Germany, created with German group Abold. FutureBrand Australia, meanwhile, has recently been appointed to design the identity for the 2006 Commonwealth Games in Melbourne. Unlike the Olympics, the Commonwealth Games doesn’t boast an instantly recognisable marque, making a strong identity arguably even more vital to the tournament’s profile. Niels de Vos, commercial director of the 2002 Games in Manchester, said, when the identity was designed by Race and refreshed by Access, that ‘before a single starting pistol has been fired, the games is wholly embodied by its logo, which must successfully sell the idea’. Such emphasis on design now has a number of specialist consultancies on their marks in the race to milk the benefits.